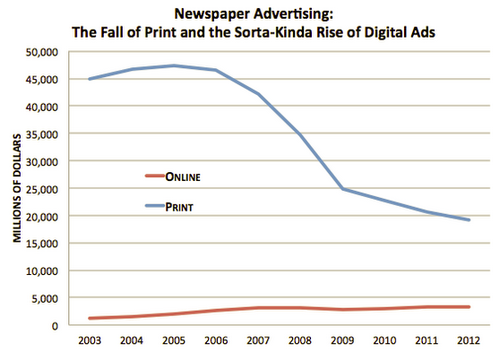 So, print advertising is tanking. Internet advertising, whilst growing, is not growing particularly fast, and certainly isn’t catching up to fill the titanic sized gap left by print. Facebook, a hugely popular free service that’s supported solely through advertising, yet is packed with users who are actively hostile to the idea of being marketed to on their cherished social network……this is what I hear from readers every time I write about the online ad economy, especially ads on Facebook: “I don’t know how Facebook will ever make any money—I never click on Web ads! The conversation was heralded in the Cluetrain Manifesto over a decade ago. People don’t want to just be passive consumers of marketing messages – they want engagement. The new advertising trends are all about increasing that level of engagement, and advertisers are doing it, in part, by blurring the lines between advertising and content.